The spectacular Bodie Hills are the scenic backdrop for local communities and national treasures, including Bodie State Park, the Mono Lake National Scenic Area and the Bridgeport Valley. Not long ago, the 2010 Cougar Gold Mine proposal risked turning the Bodie Hills into a commercial scale gold mine and destroying much of the wilderness and wildlife habitat that makes Bodie its home. 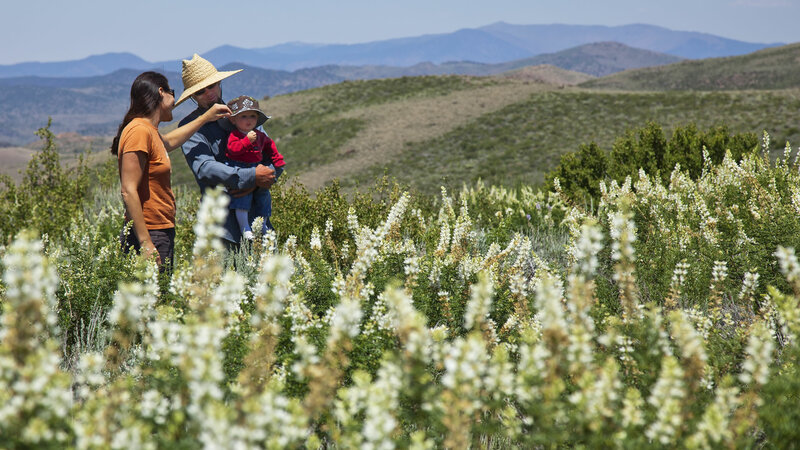 The very heart of the Bodie Hills faces threats from large-scale gold mining interests if protections are lifted. Visitor access would be limited, and important habitat for sage grouse, pronghorn antelope and mule deer would be fragmented. Allowing places like the Bodie Hills to be opened up for development such as boom-and-bust gold mining is short-sighted and unwise. Tourism and industrial land use just don’t mix. Urge the Mono County Supervisors to oppose opening the Bodie Hills and other open space in Mono County to industrial development and instead vote to protect the County’s and America’s real treasures: its natural areas, beauty, wildlife, clean air, clean water, and outdoor recreation opportunities for future generations. Scroll below for contact information and other ways you can help! Write a letter to elected officials in Mono County and Congress to let them know how much you care about the Bodie Hills and why they are special to you. Visited lately? Write a short note or make a quick call to let them know that the Bodie Hills are an important place to protect, and that they should not be opened up to industrial land use! Please join us in our efforts to prevent mining from forever scarring the unique and beautiful landscape of the Bodie Hills. Write Congressman Paul Cook. Please also write California Senators Feinstein and Harris today and ask them to oppose WSA release legislation, and to support special protection for the Bodie Hills. Join our email list to get the latest news about the Bodie Hills. We won't share your information, and will only contact you with important information about the Bodie Hills. We invite interested conservation groups and other organizations to join our effort to protect the Bodie Hills. Please contact us to join! Ready to help? Please donate to the Bodie Hills!